Be the Light That You Are! After returning from my spiritual travel adventure in Egypt, where days were hot (109 degrees!) and sunny, it has been an adjustment to a week of pouring rain and gray skies. 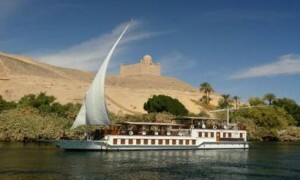 (To read about my journeys in Egypt click: OM Blog) I have been looking for creative ways to experience more sunshine. I have been doing meditations focusing on the sun. I’ve spent time with people who bring light into my life. Sharing my own gifts of light, humor, healing, and joy have also brought internal rays of sunshine. Even with gray skies, we can be a beacon of light to the world. Every interaction can be filled with warmth and every exchange can be a light-filled experience. Recognize that light attracts more light. How brightly do you want to shine? When do you feel your light diminish? What is one action you will take to bring more light into the world? Can you shine your light brighter – right now? I have taken pains to empty myself of the illusions of flesh, to accept failure, even success when it comes, but not to crave it as men crave wine. I have looked into my heart and seen jealousy, pride and greed. I’ve seen fear and resistance to change. Even as I cast these off as a snake sheds skins, I’ve been tempted to congratulate myself. I have regretted the past and longed for the future, forgetting to notice the mountain of the present. But today, for this moment, I am here with you unburdened by thought and filled with joy. In this moment I regret nothing for the paths I chose led me here. I offer you my life. In this moment as the veil opens and before it closes, I see us as we are – that we gods, that all that exists and can be named is god coming from the body of god. If I but touch the present, I shall know what lies before and behind for these, too, are holy members of his body. I am, therefore, a god among you, born in the company of men. I tell in truth, here, in my field behind this sometimes slow and stubborn donkey, I am standing before god. It is good to be here. In some way, do we not all have Osiris within us? In her recent talk in California, Marianne Williamson, reminded her audience that it is time for a new field. We can create that new field together. There is another way, always. Yes, beyond all of our ideas of wrong and right doing, there is a field awaiting us to create together. This is dedicated to my friends that I met on the incredible Egypt journey: Mohamed, Howie, Bill, Clarance, David, Don, Michael, Robert, and Terry. While I am sure many, many stories will emerge from my recent trip to Egypt, I am surprisingly at a loss for words to describe my journey. It was a trip of a lifetime and an amazing experience. Our group had a private tour of some of the most sacred temples and sites in Cairo, Luxor, and Aswan. I spent 16 days with a group that made me laugh hysterically, and allowed me to cry when I became overwhelmed with emotion. I didn’t know until I came home how many people were thinking and praying for me before and during my trip. I hadn’t realized so many people were worried about my safety and I have never felt more loved in my life. I was scared too – at the thought of being so far away, of not seeing my partner for almost three weeks, of going to a ‘foreign’ place, of getting sick, of not fitting in with the tour group of eight men and much more. When I arrived at JFK airport, I was nervous and excited. As I started to walk down the runway, I thought, “Turn around right now and go home. This is crazy!” I kept walking anyway. As I went to my seat, I heard inside, “Don’t sit down. Get off the plane before they close the doors.” The next thing I knew I was buckling my seat belt. I sat in my seat watching people and realized I was sitting next to a Coptic Priest. I tried to sleep, but all I heard were the screaming infants on the flight. I arrived at the Cairo airport and was met by a Quest Travel staff member who helped me get my Visa, pick up my luggage and drove me to the Mena House Hotel. It was there I was met my friend and leader of our group, Howie. 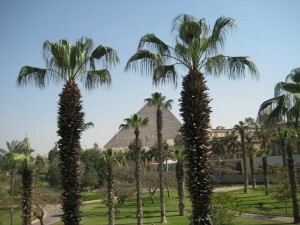 He walked me to my room and from the balcony there was a clear view of the Pyramids of Giza. The whole thing was surreal. Was I really in Egypt? Was I really looking at the Pyramids? On Wednesday afternoon the group started to arrive to the hotel (I had arrived two days earlier due to limited flights). I met my roommate, Don, that afternoon. As soon as we met each other we connected immediately. It was as if we had known each other for a long time. We had similar taste in books, music, and spirituality. I shared that I had no idea why I had come to Egypt. He had the same feeling and said he was working on “trust” and this journey would allow him to explore trust. And there it was in front of me – my purpose for Egypt – to trust myself. I trusted myself throughout the trip and the eight men I traveled with and realized I was not visiting Egypt – Egypt was visiting me. I am grateful for doing it afraid and trusting. This is dedicated to the people of Egypt! Look for the Wonders Inside. They Exist, Always. I just returned home from Egypt! The days leading up to the trip felt uncharacteristically calm for me. Given my level of energy, I would have normally been running around. I didn’t even make a packing list. (This from someone who organizes their clothes by color!) I just went with the flow. I listened as other people gave their various opinions about the trip. I heard everything from, “Have a wonderful time”, “Make sure you take lots of pictures”, “I can’t wait to read your stories from the trip” to “You are crazy”, “I would never go to Egypt” and one person even said, “I think you’re stupid for going.” Maybe everybody was right in some form, and yet, I found myself going to Egypt anyway. This was more than an adventure. It was a chance to travel on a spiritual adventure with a group who was very open to exploring, sharing, experiencing, and listening to the wonders of Egypt, their own hearts, and one another. As a teacher and healer, I was called to go. This was more than experiencing the “Wonders of Egypt.” It was about experiencing the wonders inside that always exist. I had no idea what 18 days in Egypt would be like, but I was open to experiencing a new culture and meeting new people. I traveled with 9 men and they were so generous, kind, loving, and supporting throughout the entire trip. I now have 9 new friends (who are more like family). And how could I pass up an opportunity to visit a country that loves drumming? I am still processing this amazing journey. As I integrate the experience, I have learned that while there are many beautiful temples, sacred sites, and wonders of the world, that all of that exists inside of me know matter where I go. I found many treasures, temples, and sacred sites within myself.